That big “F” word that most people do not like to be associated with! If we all know that failure is a part of life and it ultimately is good for us? Why do we avoid it so much? It might be that we do not want to be associated with the label of “failure” I mean who would like to be called a “failure”. I get this – at the time – she created this statement that helped her to successfully pass her examinations. My role now, was to show her that her University affirmation was actually limiting her success as a senior manager. As a senior manager – she needed to embrace failure at all levels in order to allow her business unit to achieve success. So, we started to work on restating her belief system on failure. Failure is indeed a stepping stone to your success. Adopt an attitude to failure that is devoid of fear. Embrace failure as it offers you the opportunity to seek innovative ways to solving problems; it tests your ambition to succeed and it builds your character. 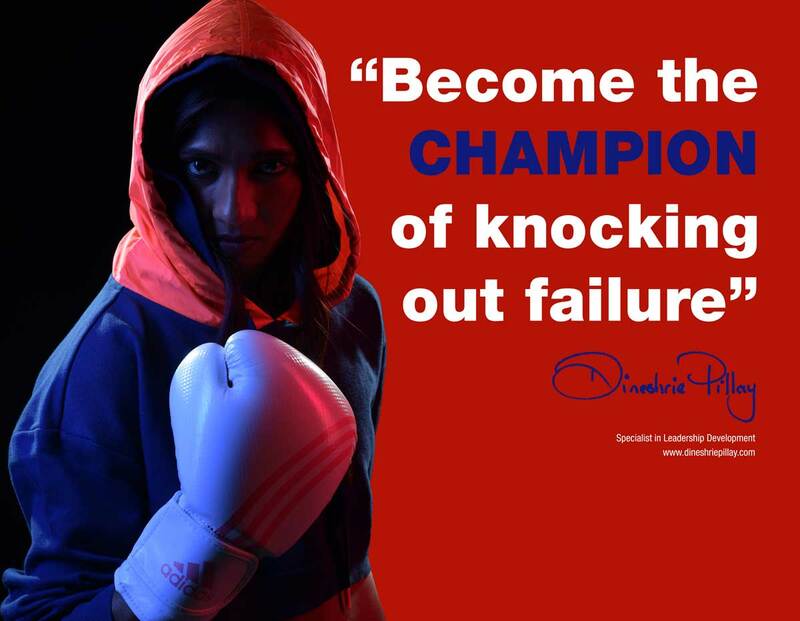 Become the Champion of knocking out failure!